For this week's #FrenchFriday post, I want to show you the only new product that made it into my top 10 high-end lipcolors for summer. I only bought it a few weeks ago, but it rapidly became the one lippie I use the most - in fact, I wore it almost every day for the past 2 weeks! 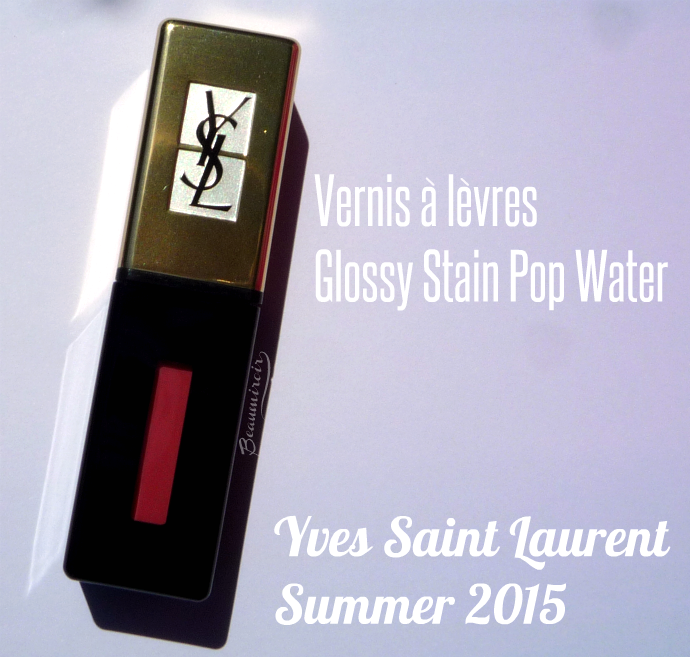 This little wonder is the new Vernis à Lèvres Glossy Stain Pop Water edition, launched by Yves Saint Laurent for summer 2015. 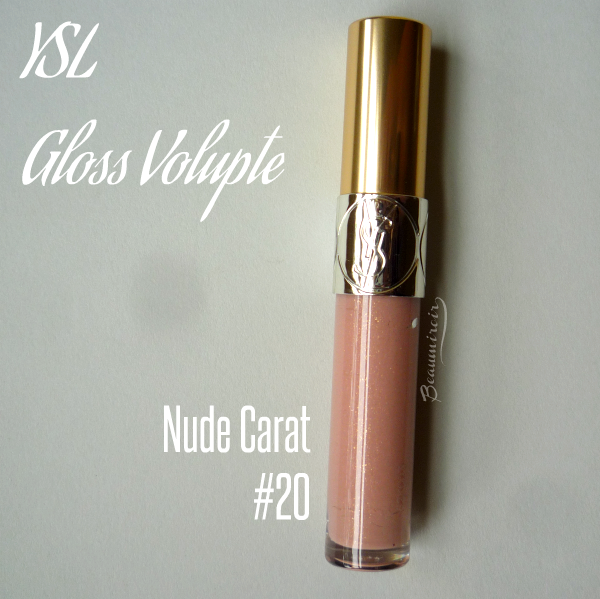 I bought it in Eau de Corail (means coral water), shade #203. 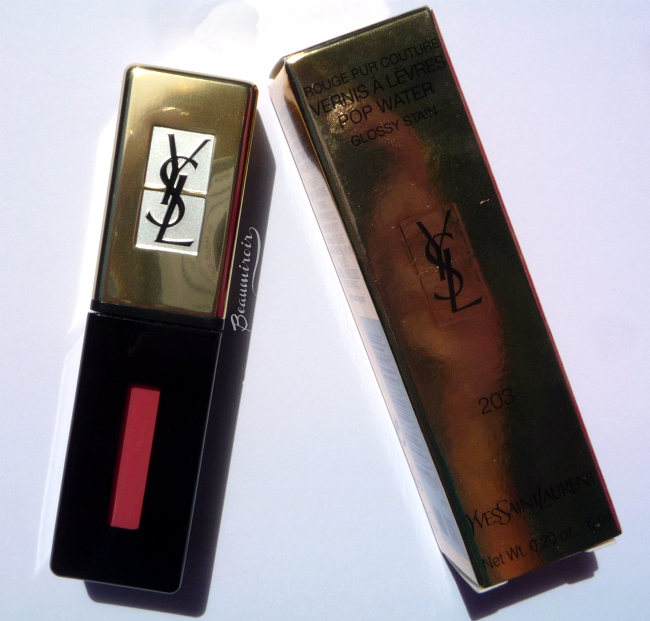 YSL describes this new version of the iconic Glossy Stain as sheer, intensely hydrating and promises 10 hours of wear (no I'm not kidding). First, a word to tell you that I'm not part of the classic Glossy Stains huge following. 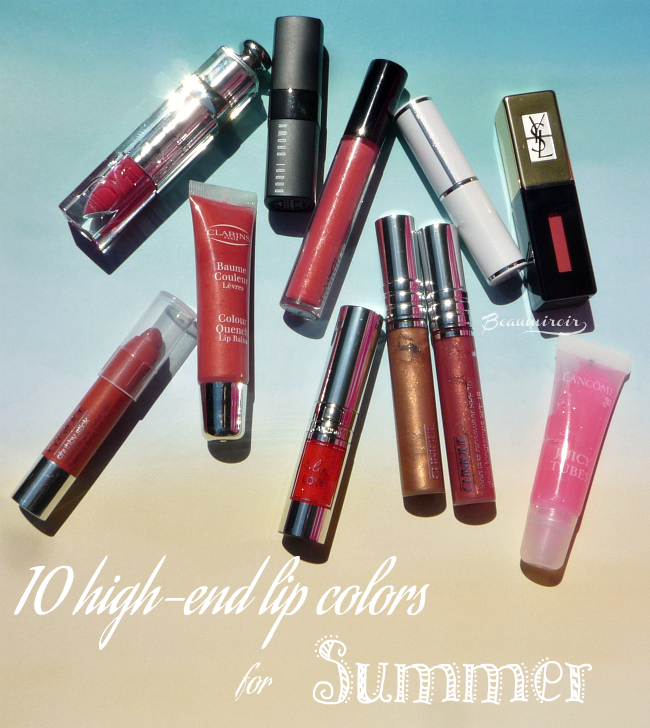 While I love the intense, shiny colors, I find them uncomfortable on my dry, sensitive lips. They can dry me out pretty badly, so the stain they leave behind becomes uneven due to flaking and chapping. And for some reason, they sometimes burn my lips... Luckily this Pop Water version feels completely different! But let me start with the packaging: the Pop Water comes in the same rectangular tube as the classic Glossy Stain, with a black body that lets you see the shade through a long, narrow window. The only difference here is that the YSL monogram is black on silver. I can't say I care much for this tube, it's a bit wide bulky and not very exciting. The applicator, however, is great: it's a wide, flat velvet applicator with a pointy tip that enables precise application. It's a lot easier to get a clean lip line with this applicator than with a classic rounded doe-foot one. 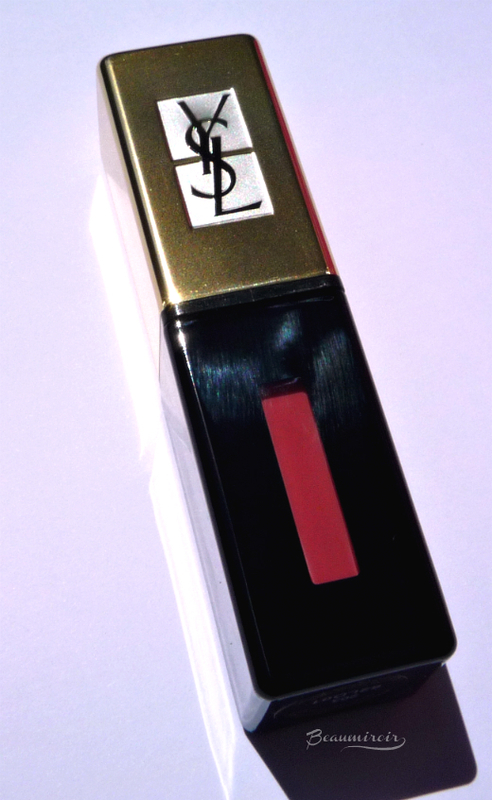 Luckily, this YSL lippie is lightly scented and its fragrance is not overwhelming at all like their Gloss Volupté. 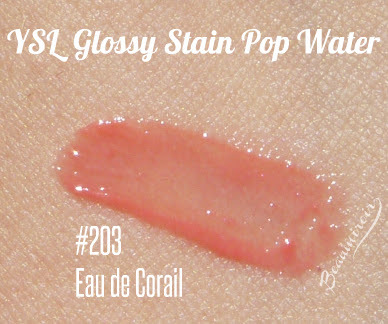 Initially, the texture of this Glossy Stain Pop Water feels fresh and liquid, but it rapidly gets thicker to reach a jelly consistency. It applies evenly without pilling or getting patchy, even while it thickens. Before buying this Pop Water, I read a few reviews online, and based on them I was expecting something very sheer. I was actually surprised by how vibrant it is. 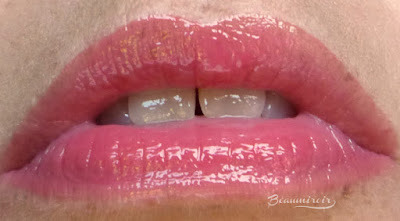 It's translucent alright, but it packs a nice amount of color that makes it very visible on my pigmented lips. My shade Eau de Corail is a peachy coral with a nice glossy finish. It's very shiny but not so much that it looks wet, despite what the name of the product might suggest. The great thing about this Pop Water edition compared to the classic Glossy Stain is that it's very comfortable to wear. It's very forgiving on my dry lips, as it doesn't emphasize existing dryness, and it also feels moisturizing throughout the wear. Right after application it feels silky and absolutely not sticky. As it thickens to become more jelly-like, a little bit of a tacky sensation appears, but it's really very minor. I would still describe it as a light, non-sticky gloss formula, and it also doesn't transfer too much. 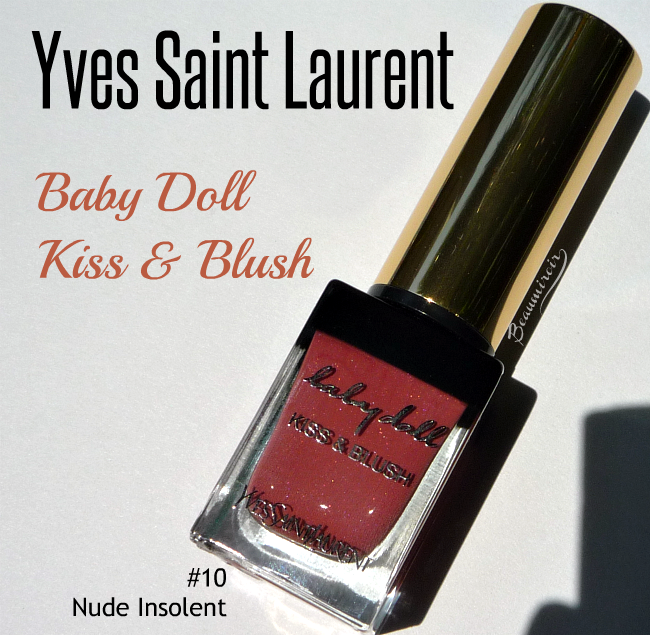 In terms of wear time, I think YSL's 10-hour promise is a bit of a stretch (a girl's gotta eat sometimes!). However it does last a very, very long time for such a lightweight gloss, and I'm not just talking about the color: the glossiness lasts and lasts, it wears through multiple cups of Earl Grey tea, it's even still visible after a light meal! 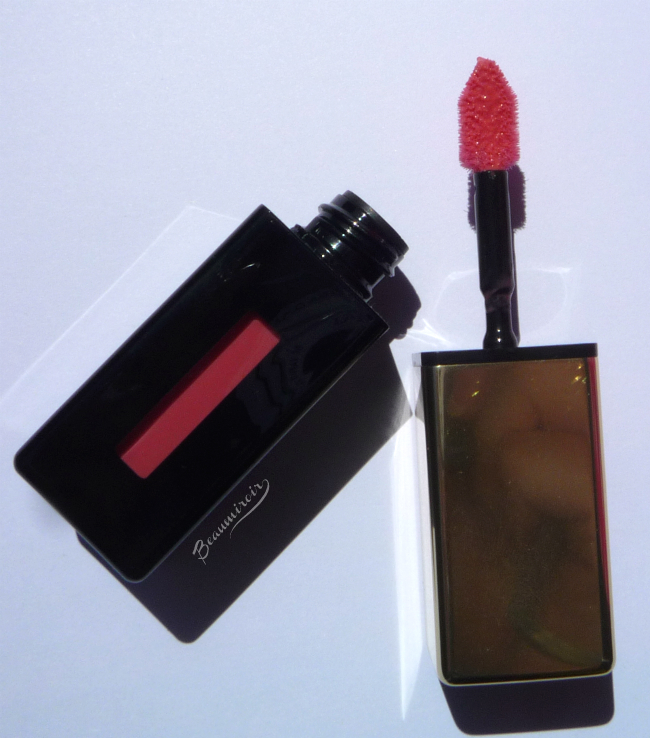 Overall: YSL Glossy Stain Pop Water in Eau de Corail is a fantastic long-wearing, shiny gloss with a nice pop of peachy coral color. It's a lot more comfortable than its older sibling the classic Glossy Stain and it keeps my lips hydrated throughout the wear. It's been a faithful companion to my makeup routine since the beginning of the summer, and I'm tempted to buy other shades! I prefer more pigmented lip products, but I really like the look on your lips. Hey Lulle, I'm glad to hear this formula is different from the original! I haven't tried those because they seem to get mixed feedback, so I'm glad to hear this is more comfortable to wear. I'm pretty sold on the name alone as well!